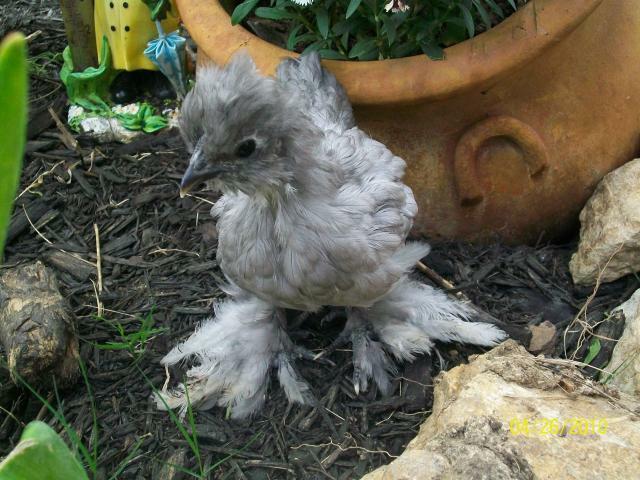 We are currently raising two chicks in suburban Fort Worth Tx. Why you ask? Well it started one day when my father mentioned he was looking for some Ameracauna chicks and would like my kids to raise them until the chicks became too much for us to handle. Several months later my wife and daughter were selling Girl Scout cookies in front of our local feed store. They went inside to warm up because it was in the thirties and raining that day (they also were looking for the bunnies the feed store sometimes sells) No bunnies that day, just a bunch of little fluffy birds. Remembering stories I told her of my childhood memories of chickens and the fact my father was looking for the Ameracaunas she called me to meet them at the feed store. With the other two daughters and my 2 year old son in tow we headed out. We my father was in Australia so he couldn't be reached. The kids were instantly smitten with the cute little birds. Everyone got to pick out a chick. They were immediately named and put into a box for the trip home. 45 minutes and $60 later we were walking out with 5 Ameracaunas and one Buff Orpington as well as a drop light for heat, feed, bedding, and matching purple plastic feeder and watering dish. Knowing our HOA bylaws does not allow "poultry" we became chicken desperados. The deal with the kids was that we were keeping the chicks until Grandpa got back from Australia' except for the Buff whom we would keep as our pet. We would keep it until the HOA police busted in the front door waving their index fingers and thumping their rule book! Mug shot of "Sunshine or will it be Sonny".One of the HOA infractors. Update: We endedup keeping Sunshine but on Easter morning Sunshine was renamed Sonny after he began crowing .We didn't want him giving up our secret hide-out so we are shipping him to the country.. We hate that because he had so much character. 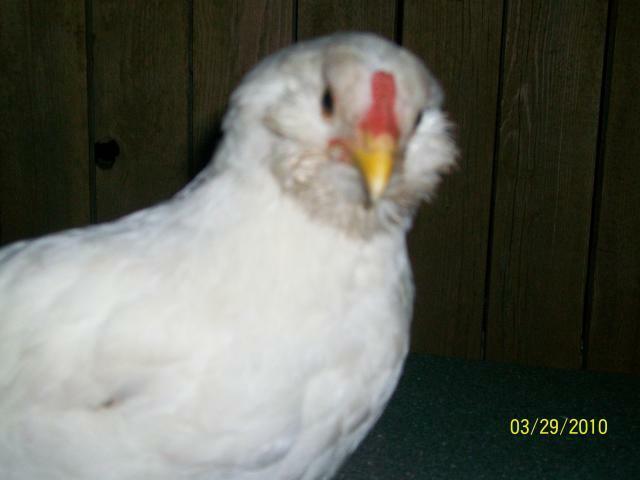 We are searching for an ameracauna pullet to replace him. The buff needs a friend.